My name is Mehrzad LaNunziata my skills and areas of expertise include customer service and sales. I received my associate degree in Applied Science from the Community College in Houston Texas. My major was in computer information systems, Programmer and System Analyst. I was licensed and certified by The Houston Board of Realtors where I learned sales, advertising, and managerial skills. My hobbies and interests include dancing, jogging, travelling, dining, and socializing. I am drawn to and passionate about charitable organizations such as the American Cancer Society and Children's Foundations. One of my goals in life was to have my own business. This wish was satisfied by my forming Cashmere and Mango. 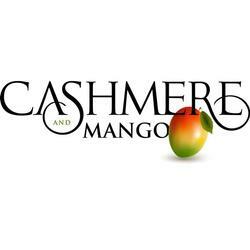 Cashmere and Mango was created by me and my daughter (Shireen Tolleson) with a passion for style, a commitment to quality, and a mission to create an online boutique that provides women with a collection of exceptional designer jewelry, accessories, and gift ideas. We offer a 100% satisfaction guaranteed shopping experience and will provide you with personal style consultation on your orders. We offer a variety of exclusive handmade jewelry, unique bath and body products, and luxurious fashion accessories with new products and designers frequently being added to the collection.